It’s amazing how many classic pop songs started out as B-sides but ended up becoming mega hits when somebody decided to turn over the record. 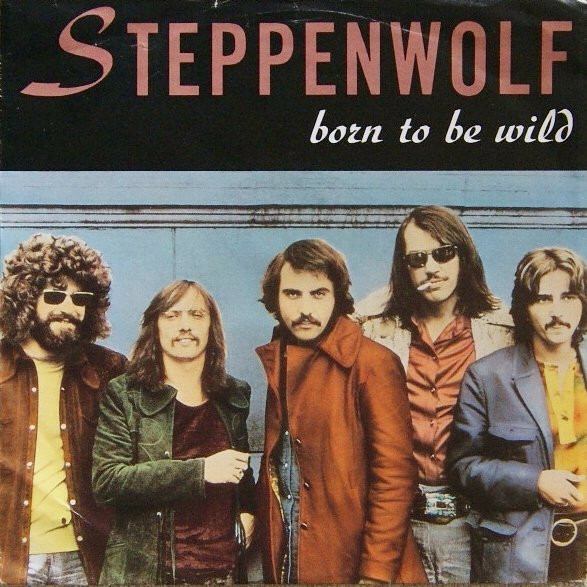 When Canadian-born Mars Bonfire (real name Dennis Eugene McCrohan) penned the now iconic “Born To Be Wild,” which was a B-side for Steppenwolf, he was young and broke, living in Hollywood, and trying to make it as a songwriter. In the early 1960s, Bonfire had played in a moderately successful Canadian band called The Sparrow. Having gotten their start playing popular venues like Chez Monique and El Patio in Toronto’s Yorkville neighborhood, the band eventually secured a deal with Capitol Records out of New York before making their way to the West Coast where they opened for popular acts of the day including The Doors and Steve Miller Band. Then in 1967, Bonfire decided to leave the group and strike out on his own. When The Sparrow (then known only as Sparrow) dissolved a short while later, Bonfire’s former bandmates, which included his brother drummer Jerry Edmonton, approached him about songs for their new group, a hard rock band called Steppenwolf. Influenced by classic blues recordings of the era, Bonfire wrote “Born To Be Wild” shortly after purchasing his very first car, a used Ford Falcon. Having agreed to give the song to his former bandmates to record, Bonfire took a step back and waited. Then in January of 1968, Steppenwolf’s self-titled debut album finally arrived. Released on ABC Dunhill Records, the album wasn’t an immediate success. In fact, the band’s first two singles, “A Girl I Knew” and “Sookie Sookie” were both flops. Bonfire still remembers hearing the Steppenwolf rendition of his song on the radio for the first time. But, it really wasn’t until later that same year that the song acquired real meaning when it appeared in the opening scene of Dennis Hopper’s cult classic film, Easy Rider. Set against a backdrop of motorcycle gangs and pure Americana, “Born To Be Wild” broke through the culture barrier going from hit song to generational anthem at a moment in time when the country was finally coming into its own. Like most successful songwriters, Bonfire had no way of knowing at the time the song was written, just how visceral a connection it would actually make. Some five decades on, he now looks back on those early years walking up and down Sunset Blvd. and toiling in artistic obscurity quite fondly. “I remember an occasion when my mother and sister came to visit me at my Hollywood apartment, and they were worried about me. They had heard about all of these people in Southern California taking drugs and going nowhere and all of that, so they came down to sort of straighten me out. As arguably one of the most iconic songs of the 20th century, “Born To Be Wild” has become a cornerstone of American popular music, and has found continued meaning over the years as a staple of both film and television. But, perhaps the real reason that it remains at the forefront of our collective consciousness is because at the height of the counterculture movement of the 1960s, it not only bottled that sense of reckless abandon that tends to define youth, it spoke to something that continues to hold true generation after generation and that’s our own inherent belief that we are all born to be wild.